Trademark Infringement : What To Do If Someone Uses Your Trademark? 3.0.1 What to do if you want to use someone’s trademark? Trademark Infringement is becoming the serious problem. Trademark is a symbol, word, design, sign or expression which is legally registered for use by a company or a firm. The owner of the trademark can be an individual, a legal entity or a business organization. Getting a trademark registered makes the brand owner of the product distinct. A trademark is shown by various companies on the package, voucher, label or on the product itself. Trademarks are also shown on respective company buildings. TM in superscript which symbolizes trademark. SM in superscript which symbolizes service mark. The letter R surrounded by a circle. When a company uses the symbol TM or SM, it implies to the public the exclusive ownership of the symbol. But, when a company uses the letter R it implies that the registration certificate of the trademark has been issued. For both the trademarks and service marks, the registration process is the same. Getting your trademark registered is necessary because you invest a lot of time and money to build a particular brand and its goodwill. Trademark registrations is not a difficult process. Below are the mentioned steps to consider while getting your trademark registered. The first step towards trademark registrations is proper planning and search. The search will make you understand whether similar trademarks are available or not. Many a time entrepreneurs do not give much importance to this step which results in trademark litigation. After completing research about the existence of a trademark, the next step is to file the trademark application in India. You have to go to the trademark office in your city and get a receipt for your application. After submitting your trademark application it is carefully examined by the examiner for any discrepancies. This can be done for as long as 12-18 months. Further, if the examiner is satisfied, he will accept it absolutely or conditionally. After accepting, it is published in the trademark journal. If not accepted, a further hearing is done. After your trademark application is accepted and published in the trademark journal, a registration certificate is issued. 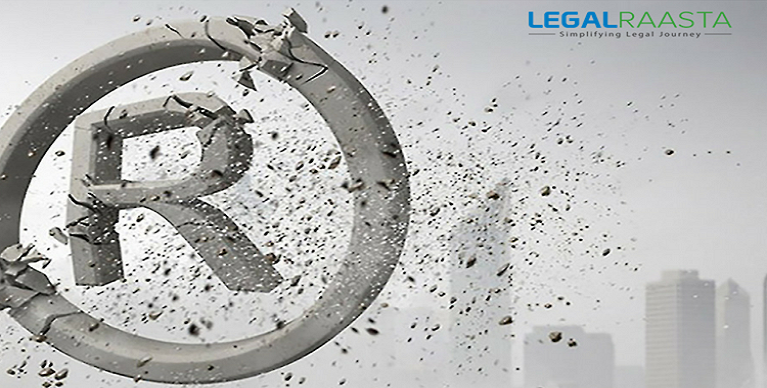 The last step towards trademark registrations is its renewal. The trademark can be renewed after every 10 years for perpetual protection. Every company should get their trademark registered as it is important for their survival and growth. The trademark registrations process doesn’t require much efforts and time so it should be taken for legal protection. Every entrepreneur must have worked hard in designing the name and logo for their business. If you see your trademark used by some third party then don’t lose hope. You can fight for it and even win it. So if you experience trademark infringement just keep in mind these steps and take action. To determine if the actual problem exists: before getting into any legal action the first step is to check whether actual trademark infringement happened or not. To do this the first factor to consider is to ask yourself a question that if another company is using your trademark so does it affect your customers? Do your customers likely to get confused? Another factor to consider is infringement even occurs on names even if they are not identical. Take action: if it appears that your trademark is used on competitor’s goods and services or customers would likely to get confused, you should immediately take action. Hire a lawyer and he will help you with the further process. Usually, the first step towards this is sending a cease and desist letter to the competitors business and asking them to stop using your mark. If still, the infringed business continues to use your mark, you can file a lawsuit in federal court. What to do if you want to use someone’s trademark? If you are thinking of using someone’s trademark then you must consider these. For using someone’s trademark, first, you should ask for their permission. If the owner of the trademark gives you permission then you must pay him a certain fee which is called the licensing fee and makes an agreement with the respective authority. If you fail to obtain the owner consent and continues to use his or her label or logo then you can be sued by the third party. This infringement can cost you monetary compensation and decline of your goodwill. Evidence of having ownership of the trademark. Makes your company’s goodwill more strong. Acts as an important step for your business and assets. Gives you right to prevent others from using your mark. You can sell or assign your mark to some third party. Trademark registration is usually for the whole of India. Generally, trademark registration is a long and lengthy process.it takes about 18-24 months for the registration process. Trademark is valid for a period of 10 years after which it can renew. You can find whether the trademark or the brand name already exists or not by searching it over trademark search engine. Once registration completes and registration certificate obtains, you can use the letter R in the circle for your trademark. If you want to use someone’s mark for non-commercial purposes, you can use it without getting their consent. It is considered as Trademark Infringement. This can be done by fair use exception. This doctrine is due to free speech law given in the first amendment. By this, a person can use someone’s logo or mark but only for the limited edition. Make sure that you use it only for competitive purposes. Advertising is Trademark Infringement Or Not? Can your trademark trump cybersquatters? What Cannot Be Trademarked In India? How Long Is a Trademark Good For, How Long Does a Trademark Last? What is Trademark Statement Of Use & Requirements For Filing It? Applytrademark.co.in is an online consultant to help companies to register Trademark, Copyright, and Patent. We have 3+ years of experience in application of Trademark Registration. We have helped more than 400+ clients for Trademark Registration. What Is ‘Adaptation’ Under Copyright Law?